Dr Timo Koivurova is a Research Professor and the Director of the Arctic Centre, at the University of Lapland. He has worked as the Director of the Northern Institute of Environmental and Minority Law at the Arctic Centre since 2004. He is also a Docent of International Law at the Faculty of Law, Economics and Business Administration at the University of Eastern Finland, and at the Faculty of Law at the University of Turku. Dr Timo Koivurova has specialized in various aspects of international law applicable in the Arctic and Antarctic region. His research work addresses the interplay between different levels of environmental law, legal status of indigenous peoples, law of the sea in the Arctic waters, integrated maritime policy in the EU, the role of law in mitigating/adapting to climate change, the function and role of the Arctic Council in view of its future challenges and the possibilities for an Arctic treaty. He has been involved as an expert in several international processes globally and in the Arctic region and has published on the above-mentioned topics extensively (see below). Koivurova has been and is involved in many international research projects. He was a co-leader of a global research project on the theory and practise of transboundary environmental impact assessment, the outcome of this research project now being published by Martinus Nijhoff Publishers (2008). 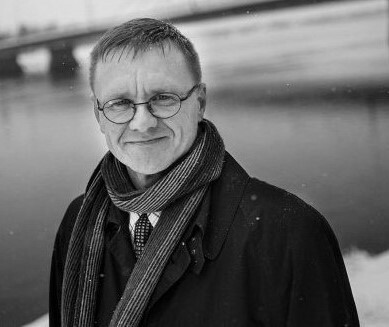 He was a research leader-in-charge in Finnish Academy funded CIGSAC (The Capability of International Governance Systems in the Arctic to Contribute to the mitigation of Climate Change and Adjust to its Consequences) and Commission of the EU funded project comparing the ocean governance and law of the sea positions of Canada and EU respectively (co-director). He was one of the co-leaders in a research group having as its aim to outline the policy and legal context in the Arctic marine region, this research group being part of the EU Commission funded “TRANSFORM: Transatlantic Policy Options for Supporting Adaptations in the Marine Arctic” and leading a project – together with professor Kai Kokko – to examine the legal issues related to an idea to negotiate Pan-European forest management convention for the Ministerial Conference for the Protection of Forests in Europe. He was also one of the co-leads in the EU Commission funded Arctic footprint project and, together with professor Kai Kokko, leading a research team to examine the EU competencies affecting the Arctic, a study that was done for the European Parliament. Currently, he is finalizing an international project funded by the Nordic Council of Ministers, looking into the challenges of negotiation a Nordic Saami Convention, a project that he led together with professor Nigel Bankes from the University of Calgary. Professors Koivurova and Bankes were also nominated as co-leads of drawing a legal chapter to the Arctic Council’s Arctic Human Development Report II (2012-2014). Professor Koivurova is a member of the IUCN’s Commission on Environmental (CEL) and has been invited by the Norwegian Research Council to serve as a member in the steering committees’ overseeing large research programmes: Geopolitikk-Nord, which examines the evolving Arctic policy from the Norwegian perspective; and NORRUSS, which aims to study the evolving northern policy of the Russian Federation. Professor Koivurova is also – together with professor Gudmundur Alfredsson – editor-in-chief in the Yearbook of Polar Law (Brill) and an editor in the Nordic Journal of International Law, Nordic Journal of Environmental Law as well as the Arctic Review of Law and Politics. Professor Koivurova was recently elected as a co-chair of the international environmental law interest group of the American Society of International Law. He was also invited to serve as a member in the prominent national human rights institutions: an expert member to the Advisory Board on Human Rights, which is an independent advisory body on human rights issues nominated by the Finnish Government; and a member for the human rights delegation overseeing the newly established Human Rights Centre. Professor Koivurova is the chair of the University of the Arctic’s Arctic Law Thematic Network. Professor Koivurova is also a board member in the Arctic Research Consortium of the United States (ARCUS).